February 22, 2018  The 1990s saw a wave of prominent women musicians who took the reins, creatively and professionally, over their music — and provided a blueprint for lasting careers. November 8, 2017  With the help of a backing band that includes Ivan Neville and Jenny Scheinman, the iconic singer-songwriter plays three songs from across her tough and uncompromising career. 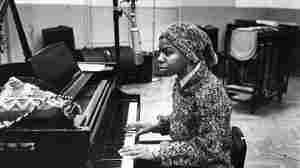 July 24, 2017  NPR's list of the greatest albums made by women, from 1964 to the present. 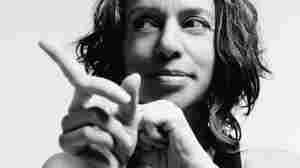 June 27, 2017  DiFranco's 20th studio album is textured and ambitious. In this session, she performs two songs and shares some personal stories about her childhood and the relationships she's sought out. June 1, 2017  From a musician at home in revolution, here is an album about the quiet insurgence of maturity. November 11, 2013  A fiercely independent singer-songwriter, activist and artist, DiFranco has blazed her own path through the music world. In her sixth appearance, she performs songs from several points in her career. 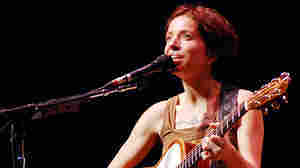 January 19, 2009  Few artists have built a stronger grassroots following than DiFranco. The fiercely independent, highly influential songwriter just celebrated 20 years of touring with a new album and a career-spanning retrospective. December 26, 2008  Not many musicians possess the audacity to take on the entirety of existence as the topic for a single song, but Ani DiFranco has never been easily daunted, as "The Atom" demonstrates. Here, she offers up an appreciation for the fundamental building blocks of the universe in a track reverent enough to double as a prayer. May 30, 2008  The folk-punk hero demonstrated her trademark candor and fearlessness during a May 30 performance at WXPN in Philadelphia. She called the songs she played "happy songs," adding that they're "kind of unexplored territory for me." December 13, 2007  Ani DiFranco has spent her entire career living up to the implicit promises that she set down in 1996's "Napoleon." The song still serves as a mission statement, and with the weight of experience behind it, her guitar playing grows claws and the vocals go for blood. January 9, 2004  Jeffrey Pepper Rodgers reports on a project by singer-songwriter Ani Difranco in her hometown of Buffalo, N.Y. Her record label, Righteous Babe Records, helped save an old church from demolition and is turning the building into a concert and art space. September 6, 2002  Soon after the terror attacks, Ani DiFranco began a poem that she ended up calling, "Self Evident." It's now on a 2-CD set that she's releasing Sept. 10. Guest Host Susan Stamberg speaks with Ani about the poem and the music on the new CD. July 1, 2001  This week, we take a look at the city of Buffalo, New York, both past and present. The tour begins with the 1901 Pan-American Exposition, which heralded Buffalo as the city of the future, a place where hydropower made the widespread use of electricity possible. Mark Goldman, author of City on the Lake: The Challenge of Change in Buffalo, New York, serves as Liane Hansen's tour guide of present-day Buffalo. Their first view of the city is from Canada, where Goldman says you can see Buffalo's long history layed out before you. 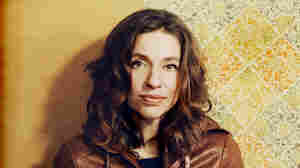 Next, they venture down Main Street, where we meet singer-songwriter Ani DiFranco, who has based her company, Righteous Babe Records, in her hometown of Buffalo. February 10, 2003  Music critic Will Hermes tells us about the latest crop of anti-war songs. These aren't your father's anti-war tunes. 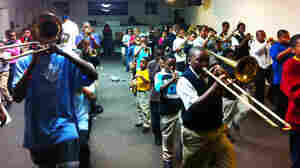 They have roots in the jazz stylings of Sun Ra, hip hop, punk and pop. June 13, 2012  DiFranco takes World Cafe host David Dye around the funky Bywater neighborhood, introducing him to the up-and-coming roots-rock band Hurray for the Riff Raff and an activist organization called the Roots of Music Program. 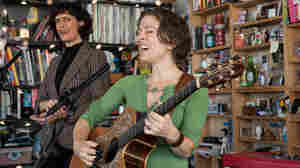 May 9, 2012  The take-no-bull folksinger showcases her soft, romantic side in the elegant ballad "Hearse." 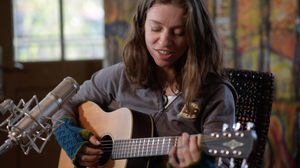 DiFranco sings sweetly without any sense of pain or longing, instead choosing to offer her devotion as a statement of fact. February 2, 2012  The singer-songwriter's latest album, her most striking release in more than a decade, is as personal as it is political. 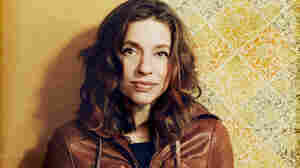 January 17, 2012  Hear DiFranco carry on her 21-year folk-rock tradition, with songs from Which Side Are You On? 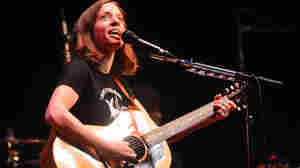 February 14, 2011  Now based in New Orleans, DiFranco brought her band and songs from her latest CD, Red Letter Year, for her fifth appearance on Mountain Stage. March 5, 2010  The ancient tale of Orpheus searching for his beloved in the underworld has been told many times by famous composers such as Monteverdi and Offenbach. Now, the desolate journey of Orpheus is presented in a new way: as a folk opera written by singer-songwriter Anais Mitchell. Hadestown features performances by Justin Vernon, Ani DiFranco and Greg Brown.